The Friends of All Saints’ Church Staplehurst is a registered charity with very simple objectives: to maintain, repair, restore, preserve, improve, beautify and reconstruct, for the benefit of the public, the fabric of the Church, its monuments, fixtures, fittings, furniture, stained glass, ornaments and other chattels, and its churchyard. Since 1994, The Friends have undertaken a number of activities to provide funding towards several projects. These have included the gas-fired central heating, bells restoration, electrical winding of the clock, the provision of a vestry and draught excluding doors to the West Tower, the kitchen with accessible toilet, repairs to the south facing roof and a significant contribution to project funding for the lighting scheme. On top of project funding we also contribute towards regular maintenance and this includes tuning of the historical organ and day to day repairs. We recently paid for new bell tower louvres to the South and West faces and a significant contribution to repairing stained glass window damage. 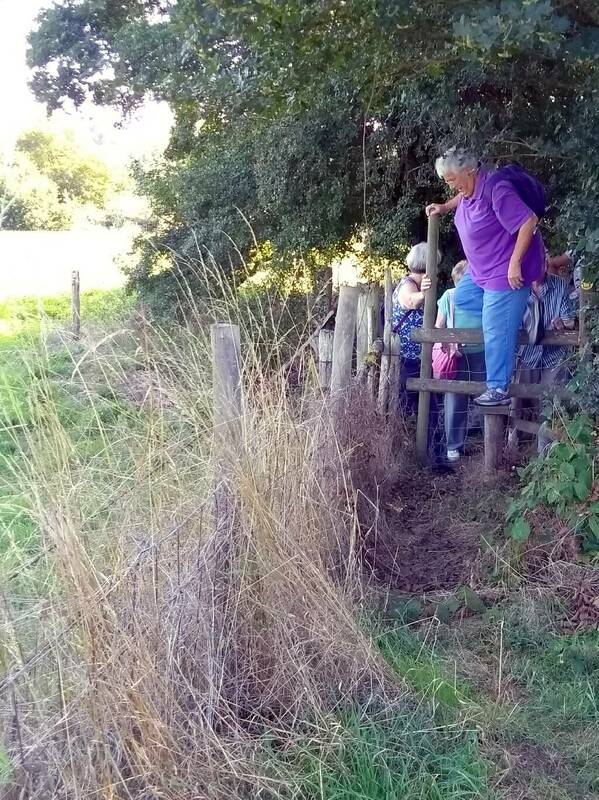 12 people enjoyed great weather on our walk along side the river Beult at Stilebridge on Saturday 1st September. 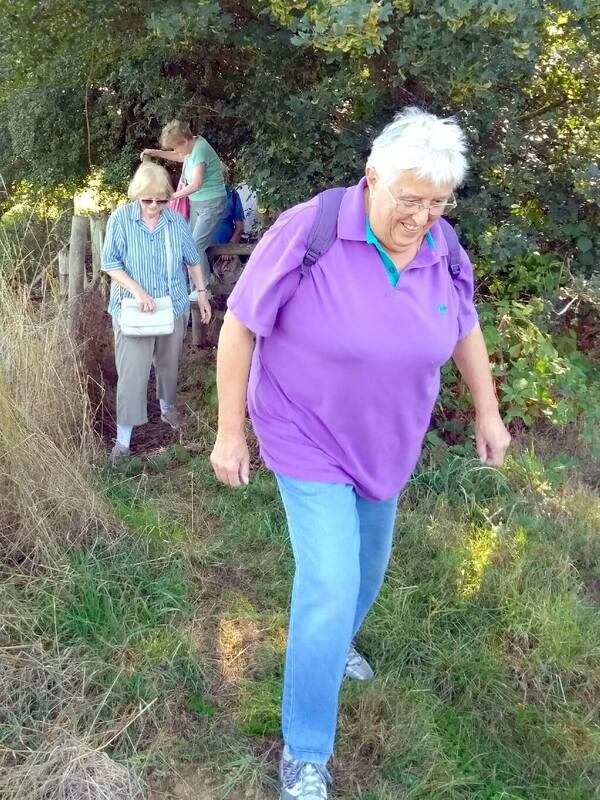 The walk was organised by Committee member, Maureen Brice and led by Caroline Highwood. A further 5 people joined at the Stilebridge for a very sociable and tasty lunch. We have arranged a lunch at The London Beach Hotel on Friday 14th October. This is not only a fundraiser for the Friends but also a pleasant and sociable way to catch up on each other’s activities during the Summer. The cost will be £12.95 for a 2 course lunch. Puddings will be available at individual’s extra cost. All welcome. Please sign up on the board at the back of church or contact Maureen Brice on 891842. On the afternoon of the 20th August we held a Village Trail and Cream Tea event. Although the weather wasn’t on our side, a number of people, young and old enjoyed the trail and a delicious cream tea. 92 people enjoyed a relaxing barbecue when Alaine and Brian Summers kindly opened their house and garden to us for our Fund Raising Barbeque on Sunday the 17th of July. Great food and company and the weather was glorious. I would like to thank everyone that took part in the event, we raised £2820 a fantastic amount, a mini auction accounting for over half of the sum. I would like to thank Alaine and her team for their organisational skills, the whole afternoon ran like clockwork. I also thank Brian for his sterling work on the 3 barbecues ably assisted by Paul Brooker, no fun given the hot weather. I would also like to thank Rev. David Jones, who was our auctioneer on the day. To all those people too numerous to mention individually that helped with and donated towards the raffle/tombola/bottle stall/auction, those that loaned chairs, tables and gazebos galore and helped out in the kitchen and elsewhere along with setting up and clearing away – a big thank you. Alaine and Brian would like to thank everyone for their wonderful support and all those who helped in so many ways, saying that they couldn’t have done it without them! The Friends of All Saints held their 22nd Annual General Meeting in the church on the evening of 11th May. There were 27 members and 1 non-member present. Andrew Brady, Frank Page and Tony Norfolk were re-elected on to the committee to join fellow members Mary Shaw, Maureen Brice, Sue Elwell, Ann Fulcher, Janet Pink, Alaine Summers and Brian Summers who represents the Parochial Church Council. All the reports were accepted without comment and there were no issues raised. Due thanks was given to all the members for their commitment and support over the year during which £3,017 had been paid in grants to the church to cover essential inspection and maintenance work. The meeting was preceded by light refreshments. The Brain Game on the 12th if March raised just short of £370. A big thank you to all that supported the event or helped organise it. It was a very enjoyable evening. This event on the 24th of October was a fantastic event with around 31 people attending and enjoying an afternoon tea of finger sandwiches and a traditional cream tea. The London Beach donated back to the Friends in support of us as a charity. We received £321 back from them which was fantastic. A big thank you to the London Beach Hotel and to those attending. 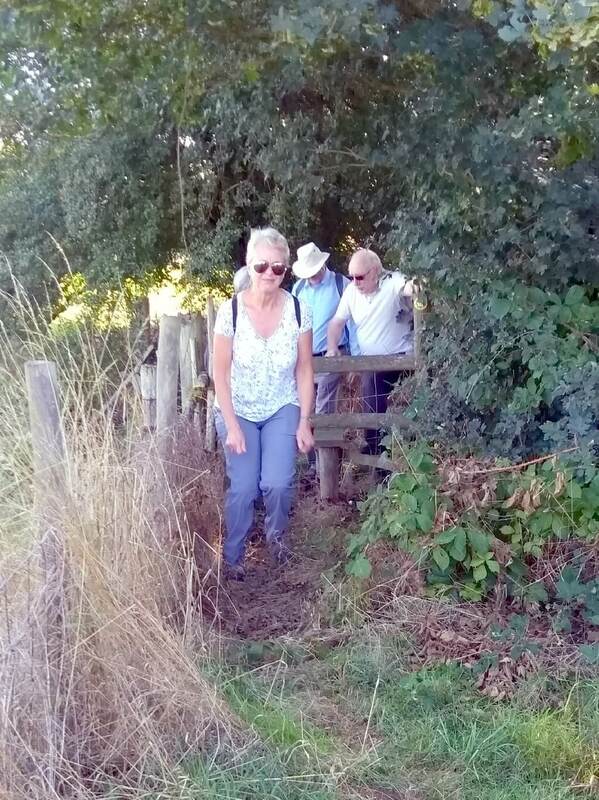 The Bank Holiday walk and lunch on Monday the 31st of August was very successful given the weather. Twenty people in all participated with eight intrepid souls (pictured below) actually doing the very pleasant walk alongside the River Beult, albeit in persistent rain, and sixteen enjoying a convivial lunch at the Stile Bridge Inn afterwards. Donations from the day amounted to £158, encouraging given the weather. Our thanks to Caroline Highwood for leading the walk and to committee member Maureen Brice for organising the event. The Friends of All Saints’ Church Staplehurst held the ever popular Brain Game on Saturday the 7th of March. We had eleven teams enter the Brain Game this year, an increase on last year by two teams. We followed our normal practice of eight rounds of questions, a marathon round with an interval halfway through where we played the heads and tails game. Team members bring their own food and drink and it is always interesting to see what feasts people put on. A team called Absent Friends won this year with 91 points with the Five Amigos team in eleventh place with 63.5 points and only 10 points between the top three teams. The winning prizes were bottles of wine with the team in last place awarded an apple each. Feedback was that everyone had a very enjoyable evening. After a very small amount of costs we raised £412.75. A big thank you to all the teams for entering and helping to raise funds for the maintenance of All Saints Church. I would like to thank all my fellow committee members and others for their hard work on the evening. The Friends, administered by an elected committee, continues to spearhead fund raising and social events. Membership of The Friends is open to anyone interested in the objects of the society and who has paid an annual member’s subscription of at least £5. All Friends members – who pay Income Tax – should sign a declaration form to enable the tax to be reclaimed on their contribution, which increases the gift by some 28%. Members receive informative Newsletters which give updates on the progress of projects and details of fund raising events to support and enjoy. A very wide variety of events are planned to ensure that all members find something of interest. Becoming a member is very simple and your support will be much appreciated. Telephone Andrew Brady the Membership Secretary, on (01580) 891840 for further information. Friends of All Saints Church – A fund raising body which helps finance projects of maintenance and improvement to All Saints Parish Church Staplehurst. It aims to involve members of the community through the promotion of a varied programme of events. The Friends of All Saints Staplehurst have new stock of white Bone China mugs. Similar to previous versions, the new mugs are the same shape, the Topaz style, a white bone china mug with the image of the Church and Friends text in dark green as shown to the right. The mugs are available at £5.50 each or £30 for a set of 6. An ideal memento of a wedding or baptism celebrated at All Saints’ Church. If you would like a mug (or a set of 6) please contact Andrew Brady on (01580) 891840. The Friends of All Saints Staplehurst have a new item of merchandise, a waiter’s friend.The waiter’s friends are available at £4.00 each. An Ideal Gift for the Wine Enthusiast. If you would like a waiter’s friend please contact Andrew Brady on (01580) 891840. A number of successful events were held and donations received throughout the 2016/2017 financial year to raise funds to meet our objective of supporting the PCC in maintaining and improving the fabric of the Church. In this regard, the Friends met, in full, two requests for reimbursement for costs of general maintenance from the PCC; including the clock service, lightning conductor inspection & test, periodic electrical safety testing, glass door repairs, roof repairs and the cost of investigations by a structural engineer looking at the floor settlement/sinking in the chancel/choir stalls. There are also issues with the East Wall, inside and out and we await reports/quotes on this and what is needed to rectify the floor issues. Last year we pledged £9576 towards the organ restoration, this being 50% of the total sum thus enabling matched funding for grant applications. The church has had a great success with fundraising and therefore, we, the Friends, have not needed to pay the full amount. Our final contribution to the organ restoration was £6603.47 and is included in the reimbursement figures above. We are indebted to Brian Summers and his fundraising team for their hard work and to the grant making bodies that supported this project. The organ sounds great, a much cleaner and purer sound. Our notelets, the images courtesy of Chris Cochrane & Ken Collins, have been selling well and we have had to do a reprint. These are available from the wicker basket in the church porch. We also have our china mugs and waiter’s friends for sale. A new merchandise item is our reusable cotton shopping bags. They are £2.20 each and display our name and charity number. 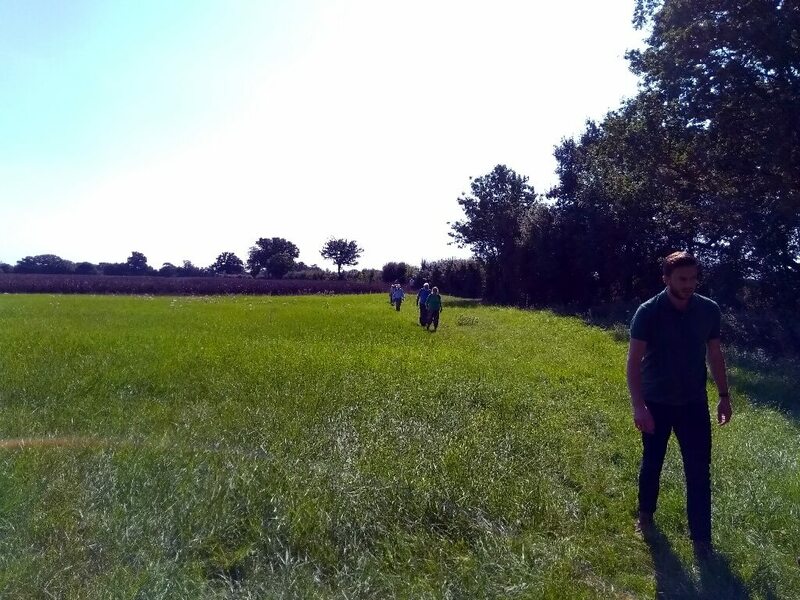 Since the last report, we have held a summer BBQ & Auction, a Cream Tea & Village Trail, a London Beach Hotel Afternoon Lunch and the Shepherd’s Market. These events collectively raised around £4523 – thank you everyone for your participation. The summer BBQ & Auction at Brian & Alaine Summers is worthy of special note. It was not only a fantastic event with 92 people attending, but also raised an amazing £2820. While writing, this year’s Brain Game (25th March) is in the planning stage and is normally well attended and raises around £350 to £400. Membership is currently 99 and, as always, we are on the lookout for new members. A number of successful events were held and donations received throughout the 2015/2016 financial year to raise funds to meet our objective of supporting the PCC in maintaining and improving the fabric of the Church. In this regard, the Friends met, in full, two requests for reimbursement for costs of general maintenance from the PCC; one for £1590.91 and the second for £1426.08 these included the Quinquennial inspection, clock service, stained glass window repair and organ maintenance. Following discussion with the Buildings & Grounds Committee through PCC Friends Representative Brian Summers, the committee have pledged 50% of the forthcoming organ overhaul costs to enable matched funding for grants. We have also agreed payment for forthcoming roof repairs and will cover the costs of investigative work on the flagstone floor in the chancel. Since the last report, we ran a Brain Game in 2015 and 2016, an August Bank Holiday Walk along the river at Stilebridge (rather wet! ), a London Beach Hotel Afternoon Tea and the Shepherd’s Market. These events collectively raised around £2120.00 – thank you everyone for your participation in these events. Our notelets, the images courtesy of Chris Cochrane & Ken Collins, have been selling well and are available from the church porch. We also have our china mugs and waiter’s friends for sale. A new merchandise item is our reusable cotton shopping bags. They are £2.20 each and display our name and charity number. Membership is currently 98, sadly down from the 104 reported this time last year and as always we are on the lookout for new members. I reported last year I planned to step down as Chairman, well after some arm twisting and given that we were going to be appointing a new Treasurer, I thought it wise to provide some continuity on the committee. As well as Chairman, I remain as Membership Secretary and Tony Norfolk continues as committee Secretary. Following the AGM, Mary Shaw was unanimously voted in as Treasurer and Ron Dear has handed over. We welcome Mary and wish Ron well following some 14 years as our Treasurer. I made a small presentation to Ron and his wife Barbara in Church in July with a card and a gift of wine from the committee as a token of our appreciation for his time served on the committee. I would like to give my thanks to my fellow committee members for their time, commitment and support of me and our work and extend that to Friends members as well. Thank you for supporting us through membership and attending events, we couldn’t do our part without funds from membership subscriptions, profit from events and from legacies. The Friends organised 3 main events in the year, the Brain Game, a Summer Barbeque and Auction and The Shepherd’s Market. The ever popular Brain Game in March 2014 raised £352. Although numbers were a little down on previous years with only 9 teams a fun evening was had by all. Another truly marvellous event was the Alternative Flower Festival in July. This was wholly organised and run by a committee comprising of Marion Christie, Janet Dowswell, Valerie Dilnot, Christine Ward, Cathy Parsons-Smith and Sylvia Lade, and all village organisations were invited to make a display and which many did. As a result they raised a fantastic £2606.44 which they kindly donated to The Friends. This was especially successful in that by its nature it involved all the village and attendance throughout the three days was very good. My thanks to them all for their herculean effort in bringing this to fruition. A new event was a Friends Fund raising BBQ and Auction in August. This was the brainchild of one of our committee, Alaine Summers and her husband Brian, who opened up their lovely garden for the afternoon and who between them organised and ran whole thing magnificently including doing all the cooking, a demanding task with the numbers of people there, 65, and two barbecues. The total profit was £1820 with the auction alone raising over £1000. Our thanks go to Alaine and Brian, to all who came along, to those who gave the auction lots, and prizes for the other stalls too, and to those who bid so generously. The weather was very kind to us but we would have coped well even if it had rained as there was something like 9 gazebos. Once again the Shepherds’ Market was very well supported with just short of £900 raised. I was indebted to Maureen Brice for her organisational skills, the other committee members and non-committee members alike for their sterling work and of course to all the stall-holders, several of whom commented that it had been their best year. A number of people commented on the good atmosphere at all the events last year. It’s nice to know we are putting on things that people are enjoying as well as helping to raise awareness of our work and funds and financial support for the building maintenance.